RPF Kayaks were started in Portugal in 1993 by Rui Fonseca. Every single RPF Kayak is a product of the experience and passion of its founder for kayaks and for sport in general. These kayaks marry High-Tech materials and construction methods with inspired design and this combination is fundamental in allowing you to raise your skills and performance. 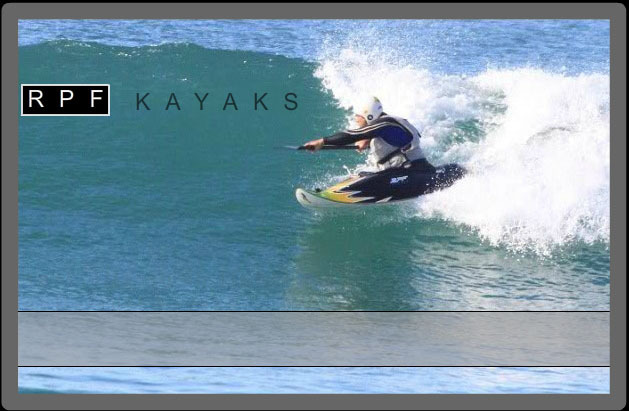 RPF Kayaks specialise in kayaks for the marine environment with particular attention to Surf kayaks and Sea kayaks. These products are continuously improved, according to our customers demands, listening to their suggestions, needs and comments. The unique properties are being recognised internationally and now, starting from 2013 RPF kayaks are available in the UK.